Union Booth makes four different open photo booth models. Open photo booths bring the party in front of the camera, creating playful interactions and dynamic group photos. 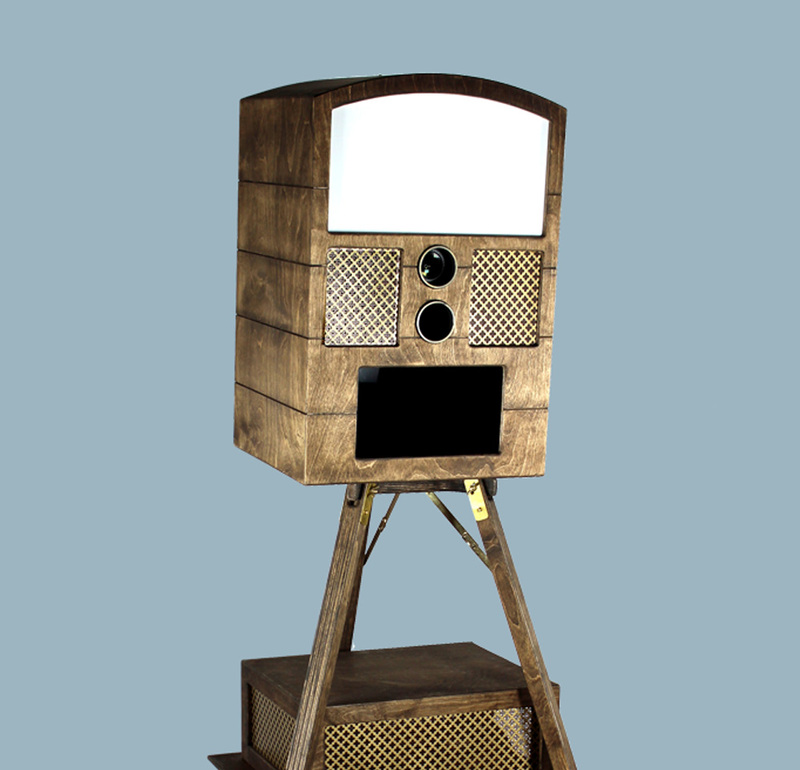 Features a dual-level camera encased in rustic wood finishes and brass metalwork atop a hand-crafted tripod stand. This remains one of our favorites! 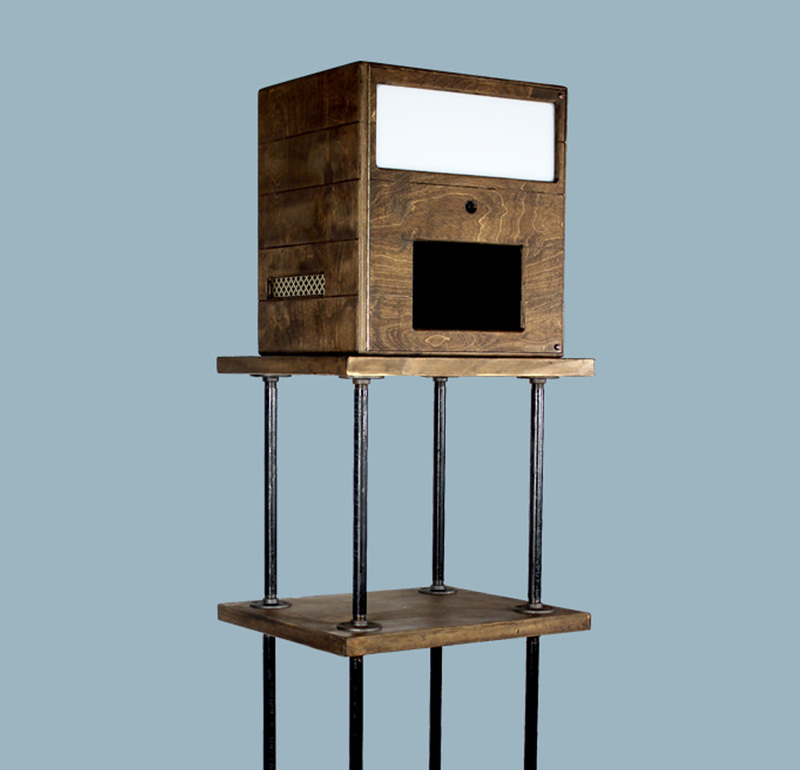 California-built, wood-clad photo booth containing a dual-level camera shelf. Handcrafted wood cabinet with brass accents. Lightweight and ultra-portable. Quick and easy to set up.